Directions to get to the cemetery here. 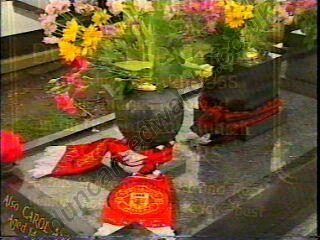 There are usually a fresh bunch of red and white carnations filling the black granite vase below the 6ft-high headstone on his grave. The other granite vase is in the shape of a football. 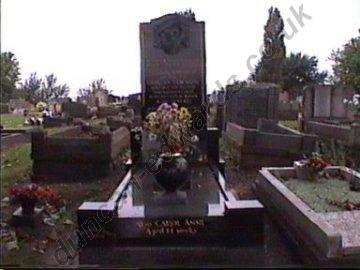 Edwards is buried with his sister, Carol Anne, who died in 1947, aged just 14 weeks. Their parents, Gladstone and Sarah-Anne, had no other children. 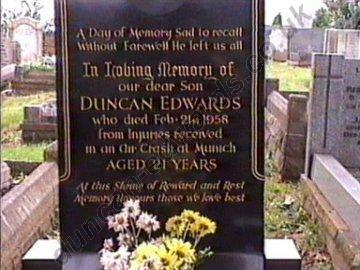 Duncan’s mother died in April 2003. 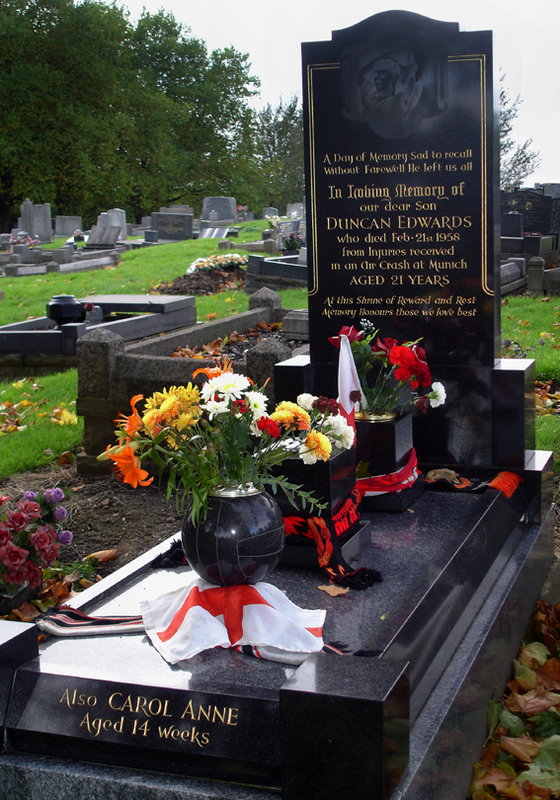 She is buried with her husband in a grave that is only yards away from Duncan. (For anyone who is interested, it is located 10 graves to the right). 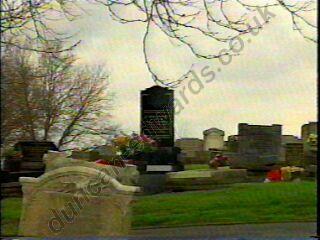 The entrance to Dudley cemetery is located at the junction of Tansfield Road and Clee Road. When you enter through the cemetery gates either by car or on foot, walk straight up the main drive (towards the lodge building). When you are walking up, take the first path on the left and carry straight on. Take the next path on your left which will take you down a sloping path. On the right hand side of this path you will see a water tap. 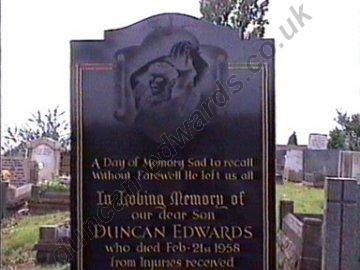 The grave of Duncan Edwards is located directly behind the water tap. 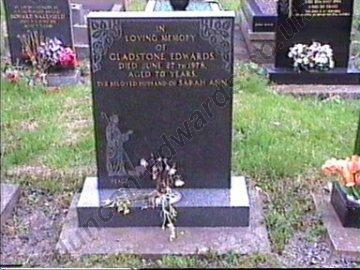 Gladstone Edwards and his wife, Sarah Ann, are buried in the second grave from the right. 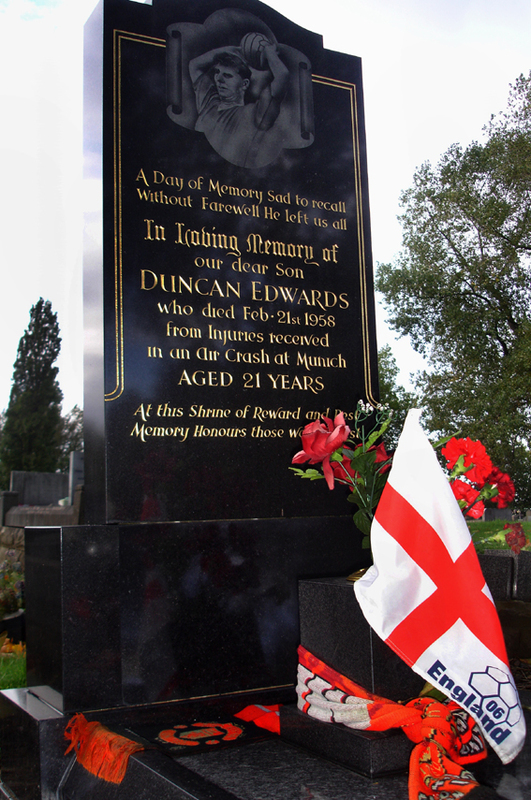 Their children, Duncan and Carol Anne, are buried beneath the tall black memorial, eleven graves to the left. 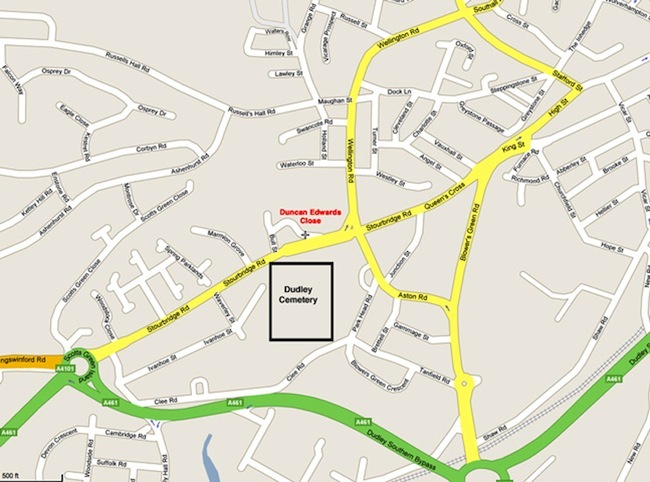 Thanks to Dudley Metropolitan Borough Council for providing this information. If you have any queries they can be contacted on 01384 812345 or via their website. More details about directions and how to get to the cemetery here.